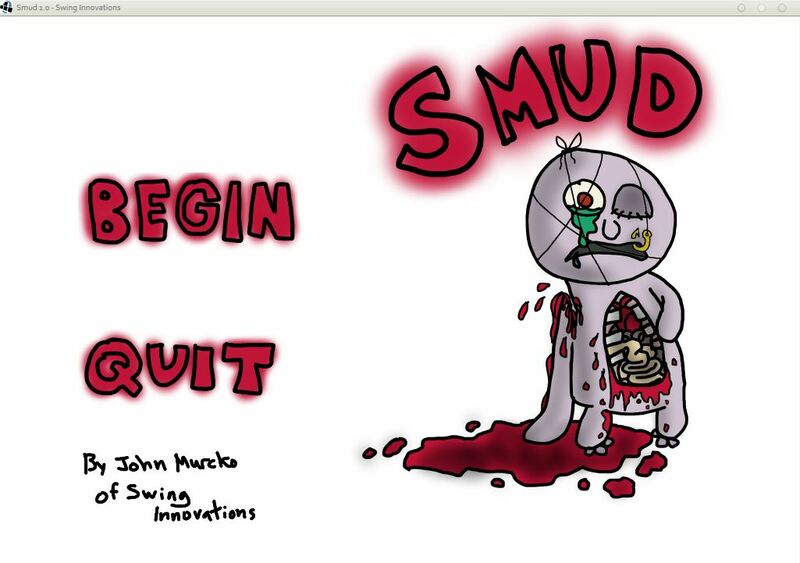 Smud is a “game” about a character named Smud. I won’t say anything else in order to avoid spoilers. I think some part of me somewhere down in my lower pancreas was trying to express itself via this game. I will do so. I didn’t realize i was using an outdated version, thanks. Okay, I updated the lwjgl libraries, should be good now. Tell me if you run into any problems. Thanks :). Particle effects would be cool. I’ll have to read up more about them though.